Frei Vineyard has been farmed by the renowned Martinelli family for generations and continues to be tended by George Martinelli. A mild climate graces this corner of Sonoma, and Pinot noir grapes ripen slowly in the well-draining Goldridge soil. 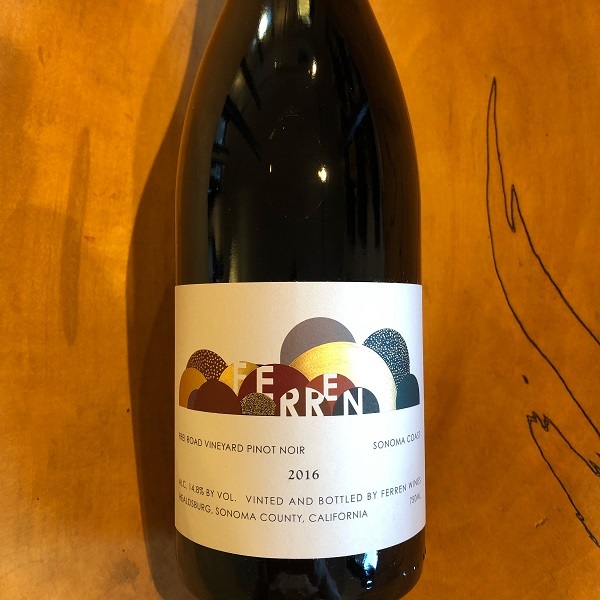 Located near the village of Graton in the rolling hills south of the Russian River, Frei Road Vineyard produces a wine of great complexity, tension, and minerality. Notes of wild flower and savory aromatics meld into sweet red cherry, plum, blood orange with vibrant acidity. This Pinot will differ from the Silver Eagle Vineyard Pinot in that it has more subtle minerality & acidity. 40 cases were produced.